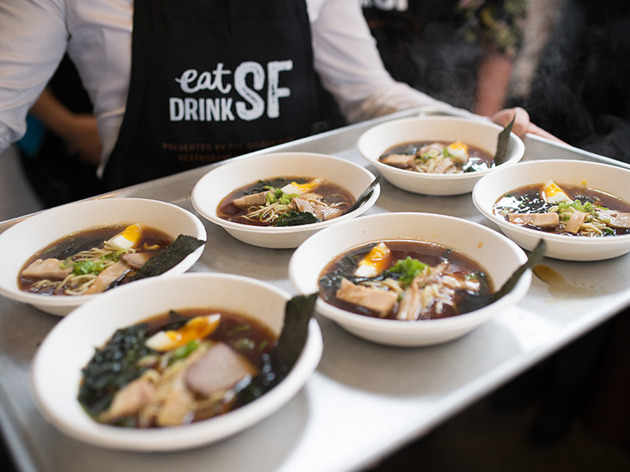 Now in its seventh year, Eat Drink SF is packing quite a bit into its four-day festival, with more to eat, drink and learn than ever before. 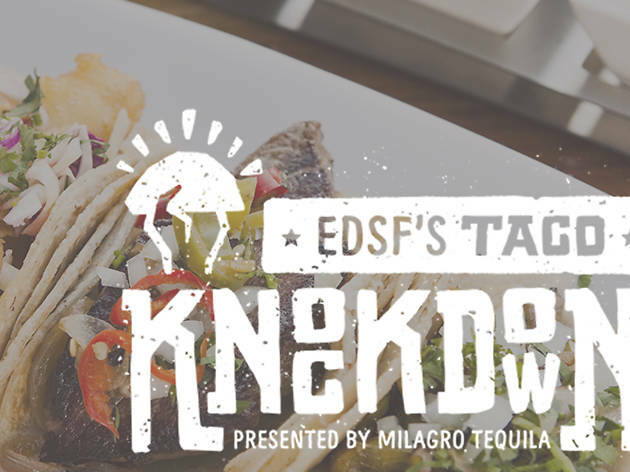 The main tasting events are always delicious, but we'll also get some pre and post events—a taco competition, cocktail classes—to round out the weekend. Keep an eye out for celeb chefs during each day's Super Duper Guest Chef Series, and leave room for some serious brunch on Sunday. 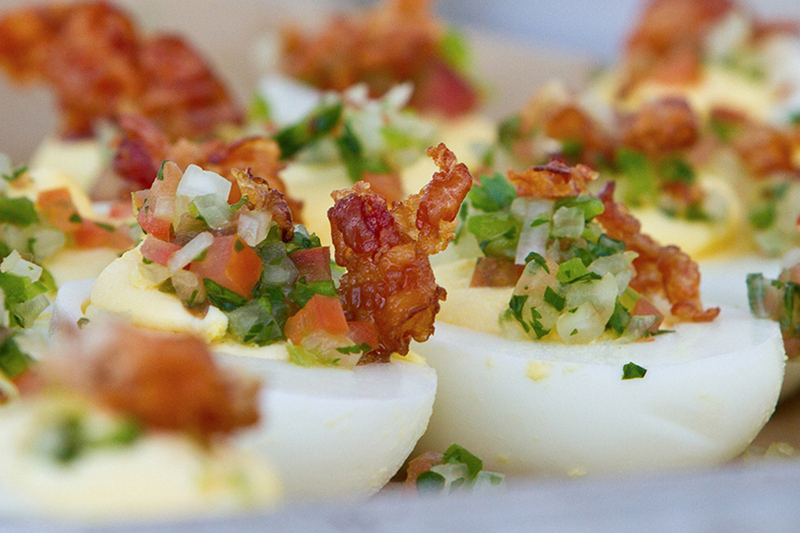 Kick off this year's fest by paying homage to the perfect food: the taco. 17 top restaurant chefs will compete in a creative battle for the “taco” title—any foldable food creation inspired by the legacy of the traditional taco. A panel of expert judges will award a grand prize for "Best Overall" and the crowd will vote for a "People’s Choice" winner. 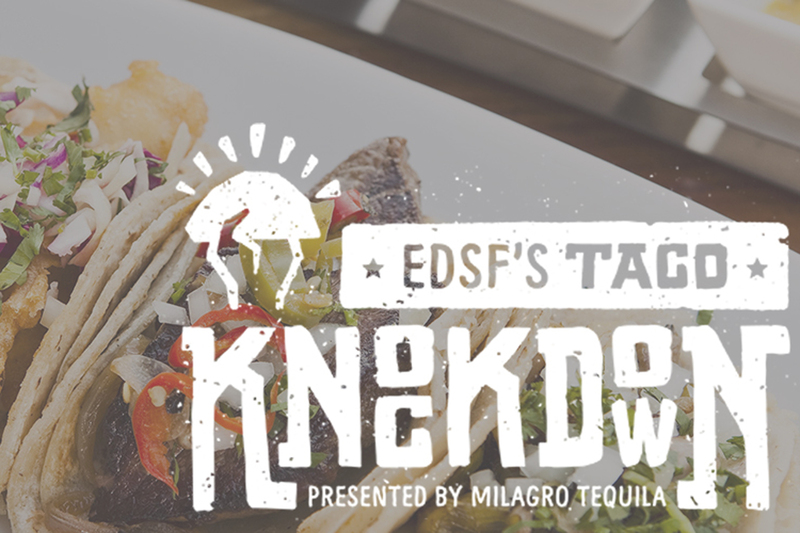 Dig into bites of all competing tacos, cocktails by the Bon Vivants from three unique bars throughout the Foundry and tunes from DJ-Chef Antelmo Faria (Uma Casa) as you wach the creative competition go down. Bacon Bacon, CHAYA Brasserie, Chez TJ, Coqueta, Delfina, Dirty Habit, Dosa, El Capitan, Fog City, ICHI Sushi, LA Chapter (Ace Hotel, Los Angeles), El Techo de Lolinda, Mekong Kitchen, One Market, PABU, The Ramen Bar, Trick Dog, and Uno Dos Tacos. Festival Pavilion at Fort Mason. Friday August 21, 7:15pm. $110. 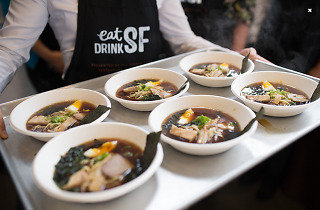 Eat Drink SF’s Grand Tastings are always a blast, with amazing flavors and one-of-a-kind dishes. 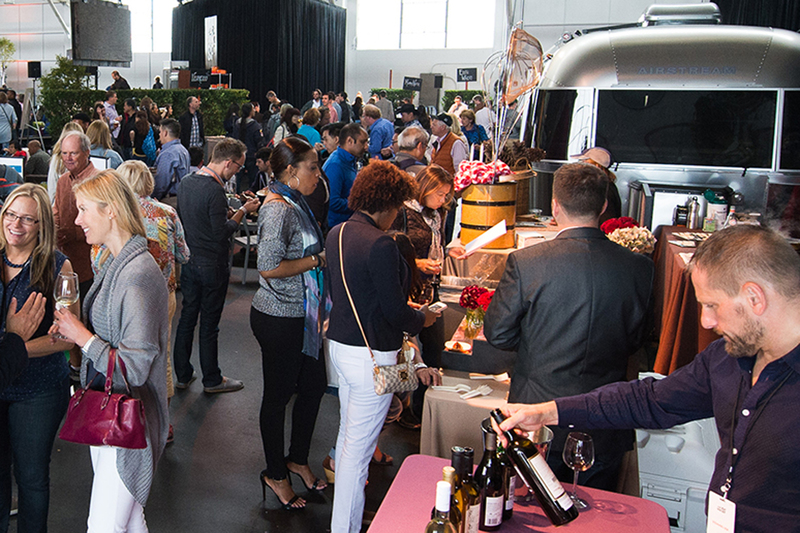 Make your way through dishes from more than 30 restaurants; enjoy over 70 different beers, wines and cocktails; watch celebrity chefs do demonstrations on the main stage; learn about wine in the San Francisco Wine School Beverage Classroom. 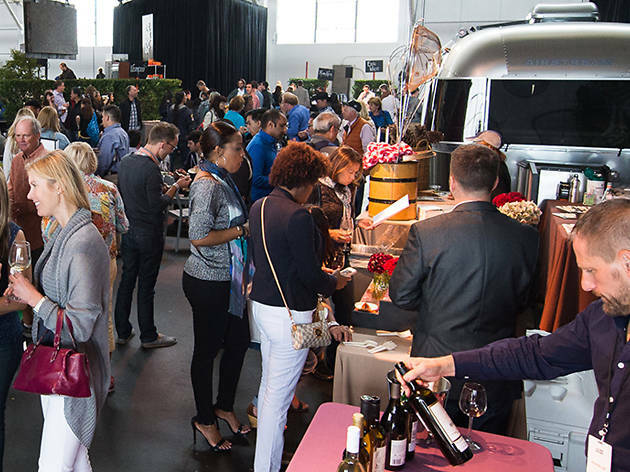 You can even take a break to play some lawn games and eat snacks in the Backyard Bites zone, or sample your way through the Whole Foods cheesemonger cave, not to mention meet the most storied chefs and food personalities in the Bay area. If you can spring an extra $75, snag a VIP ticket for early entry (by 45 minutes), access to a VIP area with additional seating and private restrooms and a selection of exclusive food and beverage offerings. Aaxte, Absinthe, Alexander’s Steakhouse, Belga, Bellota, Boxing Room, Burritt Room + Tavern, CDXX, Central Kitchen, Chino, Comstock Saloon, Delfina, Dirty Habit, Dosa, EPIC Steak, Flour+Water, Fog City, Harvest Table, Lolinda, M.Y. China, Mayfield Bakery & Cafe, McCalls Catering, MKT Restaurant – Bar, Ozumo, Pacific Catch, Pizza Antica, RN74, SHED, Spruce, Tacolicious, The Village Pub, Waterbar. For a (long, impressinve) list of featured beverages, check Eat Drink SF's website. Firehouse at Fort Mason. Saturday August 22, 2:00pm. $30. Libations and learning go together so well! 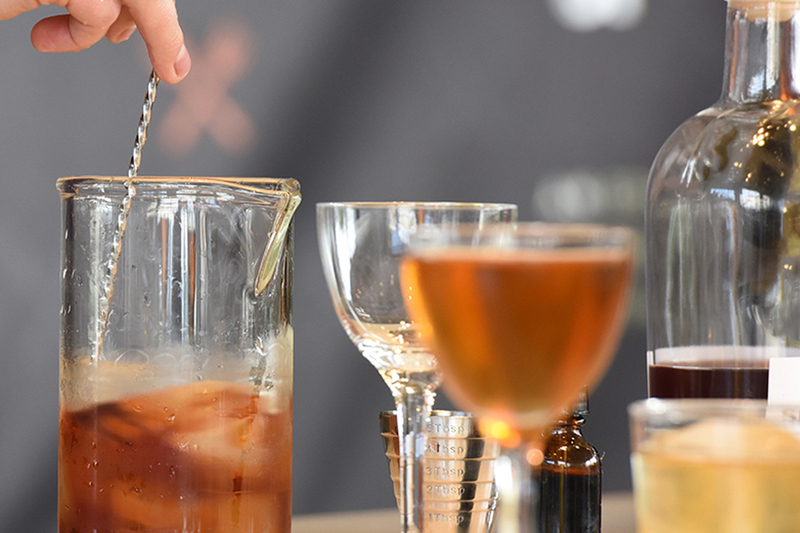 This class will give you a solid foundation to throw a killer cocktail party. Learn how to make three classic drinks: The Martini (find out how stirring, shaking, and throwing each affect the final product); the Bees Knees (did you know certain cocktails used to be considered medicine? ); and the Tom Collins (discover the mystery of the Tom Collins hoax). 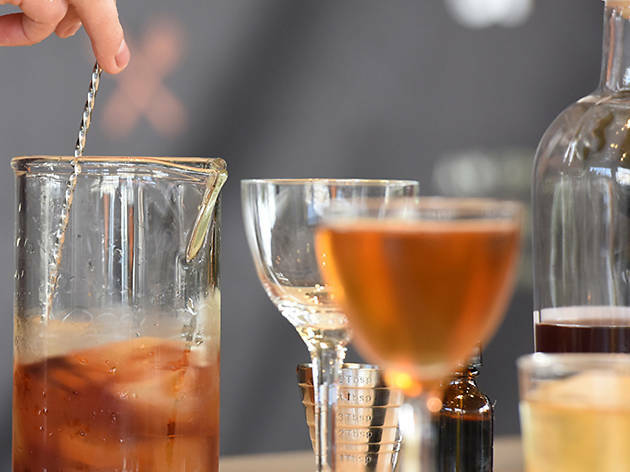 By the end of class you'll be able to execute these cocktails perfectly and entertain your guests at the same time. Learn the fundamentals of constructing a cocktail, techniques that turn a good cocktail into a great cocktail, and an easy way to begin modifying these classic cocktails for simple variations. Foreign Cinema. Sunday August 23, 11am. $85. 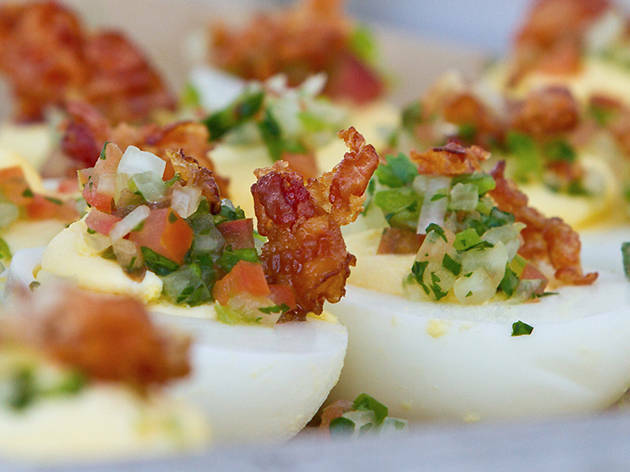 Cap off an incredible weekend of food and drink with the ultimate brunch affair. Hang out inside the dreamy confines of Foreign Cinema’s open air courtyard and enjoy a huge spread of the sweet and savory dishes that have made Foreign Cinema one of the city's favorite brunch spots. A few tastes from the menu: hand-pulled mozzarella (pulled to order), fried artichokes with fresh Eureka lemon and pecorino and vanilla bean ice cream with Four Barrel espresso shots. If you can't make this particular brunch, restaurants across the city are offering special Sunday menus as part of Eat Drink SF's City-Wide Revival Brunch. No tickets are required, so make reservations as you normally would.